It was tough reading the courageous statements by recent candidates who lost a political race, admiring their integrity and knowing that deep inside, it hurt a lot. So what now? It's time to reframe failure. Anyone who succeeds fails lots of times. "But I'm afraid," you might confess. Just invite fear to ride along, in the back seat. Then take a new risk as soon as possible! The key, of course, is to recognize the rich learning that comes from failure. Then, let it go. Recently, I have been asking clients to really explore their life successes, from their childhood, early adult hood, and throughout their professional lives. We pour through them together, delighting in the discovery of skills and abilities that had been developed to achieve that success, whether it was to go to summer camp and make lifelong friendships, or become the make-up technician for a theater group, or move out on one’s own at 18. Patterns emerge, leadership surfaces, and life purpose becomes a clear compass. What successes do you remember, and what failures do you need to let go of? 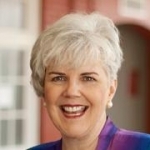 “Success and Failure are simply feedback systems, supporting you in staying on track,” Barbara Stanny, Sacred Success. In the works: I am creating curriculum for a creative, hands-on experiential group I am calling: "Nurture and Discovery for the Souls of Driven Women." Participants will get in touch with their Divine Feminine, discover their amazing inner strength and listen to their heart-led direction as they are sensually nurtured with creative processes and the power of authentic sharing from each other. Do you want to be on the "tell me first?" list?